Since founding The New Dawn Foundation in 1990 we have intensified our work, actively spreading the vision of "Revive, Renew and Reinvent" through workshops, lectures, publications and consulting activities. Interest and attendance at our workshops and lectures is growing and so must we. 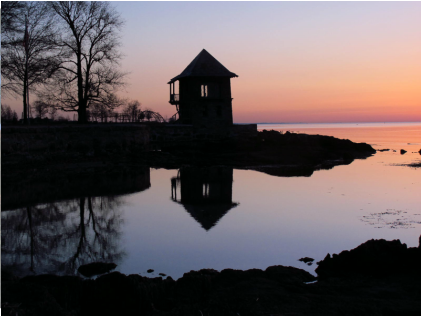 The Capital Campaign was launched in the summer of 2012 in order to raise funds for the structure of the tea house and our sea wall due to damaged incurred by the Hurricane's Sandy and Irene. This was in addition to making some much needed changes to improve the White House. At this point thanks to your help we havecompleted the renovation of the tea house and the only serpentine sea wall in Westchester and we thank you for your help and generous contributions. However, there are still much needed renovations and updating needed to improve the White House that continues to deteriorate due to its age. Many of the renovations were postponed due to the urgent need of fixing the structure of the tea house and serpentine wall. • Repair of damage of the White House from Hurrican Sandy including windows, doors and flooding damage. • Drawing up of architectural restoration plans and building specifications for complete update of the White House. Thank you for helping us with preserving this beautiful piece of New Rochelle property in which we all have access on the Long Island Sound.